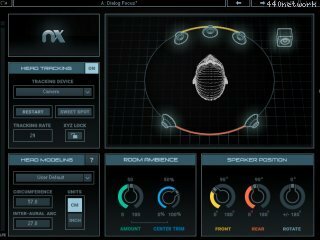 Waves Nx is a virtual monitoring plugin that simulates the ideal acoustics of a high-end mix room – inside your headphones. Powered by Waves’ groundbreaking Nx technology, Waves Nx lets you hear, on headphones, the same natural depth, natural reflections, and panoramic stereo image you would be hearing from speakers in an actual room. Waves Nx turns your headphones into a more reliable mixing and monitoring tool by letting you hear everything with real-world dimension, rather than flat in your head. Insert the plugin on your master buss, and hear all the elements of your mix accurately laid out in space, just as you would in the sweet spot of a great-sounding professional mix room. 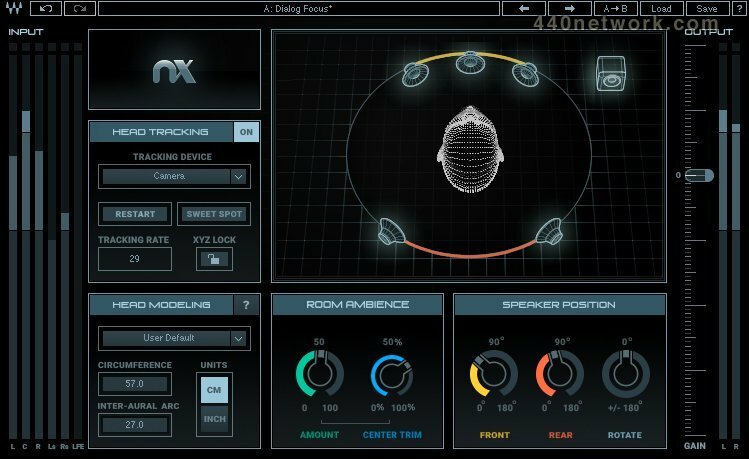 Waves Nx finally bridges the gap between monitoring on speakers and monitoring on headphones. By letting you hear the depth and stereo spread you would be hearing on external monitors, Nx gives you an accurate representation of how your headphone mix will translate to loudspeakers. By delivering the natural listening experience of a physical room, Waves Nx also makes the headphone experience more comfortable and ear-friendly over long periods of time. Want to mix for 5.1 or 5.0 surround on your regular stereo headphones? Waves Nx lets you do exactly that – a true revolution in the world of surround mixing. Best of all: Waves Nx does all this without coloring your sound. What you hear is your mix, exactly the way you want it to sound – only now you have a more accurate way to monitor it on headphones. Use Waves Nx with real-time head tracking – taking advantage of your computer’s camera or the Nx Head Tracker unit (coming soon) – and enjoy the enhanced realism of being in the Virtual Mix Room, anywhere and everywhere you go. Fx. Enigma combines a complex notch filter system, short delay feedback loops, and modulation. Resonant filter. From the mixing room to the DJ booth, Filter is a powerful sweepable filter with switchable Resonance modes, perfect for full mixes, loops, analog synths and more. Limiter and maximizer. Using a combination of peak limiting and low-level compression with automatic makeup, Louder effectively makes tracks louder, increasing RMS by up to 24 dB. Overdrive. Phatter is a bass booster that provides a quick way to add bottom, weight and body to bass, keys, kick drums and vocals alike, to thicken them in the mix. Moisterizer for dry tracks. From short, bright ambiences that are felt more than heard, to longer, darker spaces, Wetter adds instant depth to any track, creating the perfect atmosphere. Psychoacoustic analyser. Realtime analyser based on our hearing, shows 52 or 68 bands, with RMS, peak, weighting, variable integration time.